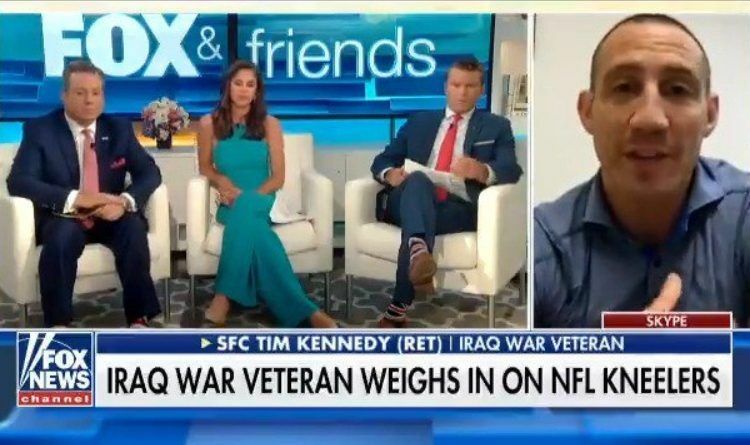 Today a great American patriot Tim Kennedy who is also a Former Ultimate Fighting Championship (UFC) fighter and Iraq War veteran decided to give the NFL anthem protesters lesson of a lifetime! He said players could benefit from attempting to understand why the flag and anthem mean so much to the men and women who have served and sacrificed for the United States. “To have the national anthem come on and you use that as an opportunity to disrespect the flag while trying to promote some issues, it’s the wrong time,” Kennedy said. Football is a sport played by athletics paid millions to do for the entertainment of the fans. It has nothing do do with politics, the Flag or the National Anthem. Share if you agree with this great American patriot! MAGA! THE LARGEST HEALTH CARE FRAUD BUST IN HISTORY WAS MADE AND THE NUMBERS ARE INSANE!